The promising and extraordinary properties of graphene have attracted significant interest, making graphene an alternative to replace many traditional materials for many applications, particularly in conductive ink for the fabrication of flexible electronics. For the past 10 years, numerous studies have been reported on the synthesis of graphene conductive ink for printing on flexible substrates for various electronic applications. The development of graphene-based ink is reviewed, with the main focus on the types of graphene-like materials in conductive inks, and the compositions and important properties of those inks. Another intention behind this review is to compare the pros and cons of graphene-based ink with those using other common conductive materials, such as gold nanoparticles, silver nanoparticles, copper nanoparticles, conductive polymers and carbon nanotubes. 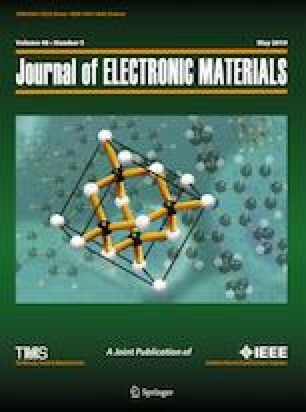 Recent works on graphene hybrid-based ink containing other metallic nanoparticles as an alternative way to improve the electrical properties of the conductive inks are also reported. Brief comparisons between inkjet printing and other printing techniques for the fabrication of flexible electronics are discussed. The authors acknowledge the financial support from the Ministry of Education Malaysia through the Fundamental Research Grant Scheme (FRGS MRSA; Grant No. 6071385). The authors gratefully acknowledge also the support from Universiti Sains Malaysia, the School of Materials & Mineral Resources Engineering, Université de Lorraine, Campus France and National Centre for Scientific Research (CNRS). We were also grateful to Carbon Materials Group (E205)’s laboratory, Institut Jean Lamour, Université de Lorraine, France for the research attachment of the first author at Université de Lorraine, France. R. Banfield, Specialist printing worldwide: issue one (2013), https://www.appliedinksolutions.com/pdf/sp11340-43.pdf. Accessed October 2018. H. Zervos, Printed electronics market update—opportunities for the printing industry, http://www.inprintshow.com/usa/conference/pdf/Harry-Zervos.pdf. Accessed September 2018.